India is described as a sub-continent. It can be broadly classifed into five zones. 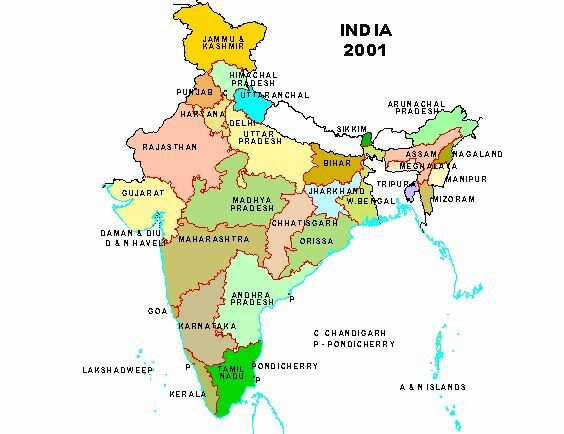 They are, Northern India, Southern India, Eastern India, Western India & Central India. Each of them comprises of several States & Beautiful Cities to Explore the civilization. arrived somewhere magical. Somewhere Special. where the Himalayas stand silent and magnificent; where 5000 years of culture waits to be absorbed. Uttaranchal, Punjab, Haryana, Delhi, Uttar Pradesh & Rajasthan. the Indian heritage is more intact here than in other regions of the country. Southern India covers states like Tamil Nadu, Karnataka, Kerala, Andhra Pradesh, Pondicherry. of beaches, temples, monastries, buddhist circuit with a rural touch. in Sikkim, Kanchenjunga Range of Mountains in Darjeeling etc. Jharkhand, Arunanchal Pradesh, Assam, Sikkim, Nagaland, Tripura. country. This part also include the states like Goa and Gujarat in addition to Maharashtra . L.C.Premium Cables, 1826, Amar Nath 2nd Building, Bhagirath Palace Delhi - 110006, India. For confirmation of any information it is recomended that you can reconfirm from yours end.